Bud break is slowly making it’s way to the northern parts of the Midwest. In some central areas of our region, bud break has revealed worse winter damage than expected. “I’ve probably had more bud mortality than I’ve ever had,” said Eric Pool, owner and winemaker at Berryville Vineyard in southern Illinois. Pool has ten acres of grapes including Traminette, Vignoles, Vidal, Norton, Chambourcin, and Diamond. He’s grown grapes and made wine for seventeen seasons and said this year – many of his vines only budded out early this month – is the latest budding he’s ever seen. The primary buds on his 200 Traminette vines were more seriously impacted by the cold than his other varieties. Pool said bud mortality on these vines could be as high as 60%. His Traminette in heavier clay soils were worse effected than those in sandier soils. “My St. Vincent seemed to winter much better than most varieties. The Norton was unfazed, with the Cornell hybrids [including Traminette] taking the biggest hit,” he added. 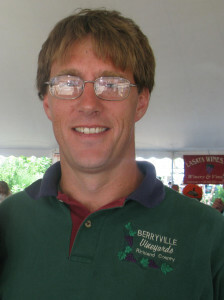 The Berryville winemaker said he regards his glass as half full and said the high survival rate of many of his vines could be down to his environmentally friendly farming techniques. “I don’t use many chemical fertilizers and I have pretty low yields, I don’t know how much that plays into it,” he said. Up north, on Michigan’s Leelanau Peninsular, vineyard operators are still waiting for bud break. Once that happens, the extent of the damage to the vinifera vines will become clearer. Wineries consulted by MWP expect about 50% primary bud mortality. At Willow Vineyards in the Suttons Bay area of Michigan’s Leelanau County, the buds on eight acres of Pinot Noir, Chardonnay and Pinot Gris were swelling (on 19th May) and should be budding in a few days. Given the exceptionally long, cold winter, Guest said he was very encouraged by what he was seeing in the vineyard. Ryan Sterkenburg, owner of Gill’s Pier Vineyard said they recorded temperatures of minus 21 degrees in the coldest and snowiest winter in several decades. “Our biggest problem was multiple days in a row of -10 to -15.” Their vinifera vines are still (on 19th May) about a week away from bud break. Gill’s Pier grows 4 acres of estate vines: Sauvignon Blanc, Riesling, Cabernet Franc and Merlot. 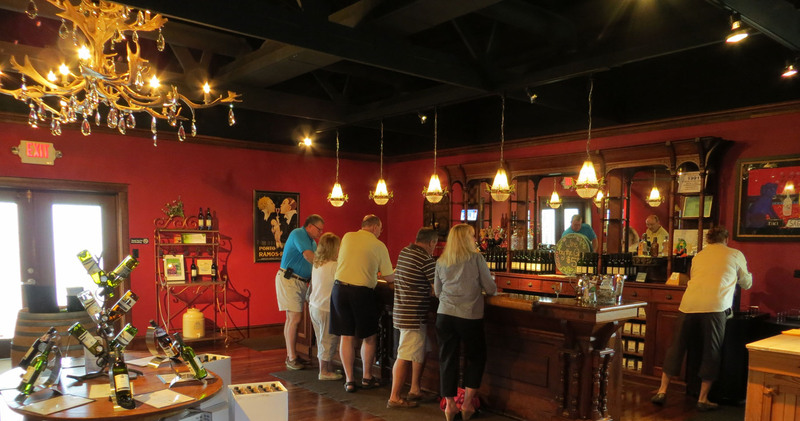 They also lease 8 acres of Pinot Gris, Riesling, Vignoles, Dornfelder, Regent, Frontenac and Lemberger. He said to help protect their vines during the winter they let the canes lie on the ground and hope that the snow provides enough insulation. “We are estimating that we’ll have 40-50% primary bud loss across the board with no plant mortality,” he added and said it would likely mean a reduction in bottling as they never import grapes or juice. Whatever the impact of the winter on their vines, Sterkenburg said they’re definitely keeping their vinifera. “This year was one for the record books and while it will occur again, I doubt it will be an annual occurrence. Cold tolerant viniferas grow very well here, so we’ll stick with them,” he said. Is The New Indiana Tourism Slogan The Worst Ever?